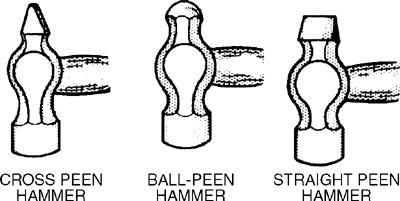 The end of a hammer head with a hemispherical, wedge, or other shape; used to bend, indent, or cut. The end of a hammer opposite the flat hammering face; may terminate in a cone-shaped, rounded, or sharply pointed face. Peens claimed the first points of the second half with a penalty from 30 metres to cut the lead to 11 points, but Yachvili landed two quick penalties for the French before David Marty scored with a solo break. ITALY Tries: Kaine Robertson; Con: Gert Peens; Pen: Peens 2. Peens, who made his debut for Italy against Wales in the 2002 Six Nations having moved from South Africa in 1994, feels his team-mates have been unfortunate not to have picked up a victory so far in this year's competition. Peens had put his side in front just before the quarter mark, briefly taking over the long-range goal-kicking responsibilities from stand-off Francesco Mazzariol, who landed the closer stuff with considerable ease. The simple conversion levelled the scores but Peens landed a penalty before Giovanni Raineri kicked a drop goal 11 minutes from time. Backs: M Dallan, D Dallan, Mauro Bergamasco, A Troncon, N Mazzucato (all Treviso), R De Marigny, G Peens (both Overmach Parma), M Barbini, Mirko Bergamasco (both Padova), V Zullo, G Raineri, T Vodo (all Calvisano), D Sacca (GRAN Parma), C Stoica (Castres), M Mazzantini (Rovigo), R Pez (Leicester), A Masi (L'Aquila), A Canale (Marchiol Silea), J-M Queirolo (Dax) Forwards: S Palmer, S Parisse, S Dellape, F Ungaro, R Martinez, C Checchinato (all Treviso), M Zaffiri, M Gennari (both Overmach Parma), M Bortolami (Padova), A De Rossi, S Perugini, L Castrogiovanni (all Calvisano), A Benatti, A Persico, C Bezzi, M Phillips (all Viadana), C Festuccia (GRAN Parma), G Arganese (Castres), A Pavanello (Rovigo), M Giacheri (Rotherham), A Lo Cicero (Lazio) # BACK IN THE FOLD Mauro Bergamasco. Another Peens penalty meant that Caerphilly were at the wrong end of an 25-8 scoreline at this stage. ITALY - Peens, Mazzucato, Stoica, Barbini, Sacca, Mazzariol, Troncon, Lo Cicero, Ongaro, Castrogiovanni, Bezzi, Giacheri, De Rossi, M.
Full-back Gert Peens kicked seven penalties in Parma's 26-13 home win over Madrid-based La Moraleja in the previous round, while the other caps in the starting XV are centre Samuele Pace, outside-half Corrado Pilat and scrum-half Filippo Frati. Morgan gave Wales a superb start when he followed up a high kick from fly-half Stephen Jones to collect Andy Marinos' pass, kick ahead and win the race with full-back Gert Peens. Meanwhile, Treviso scrum-half Matteo Mazzantini, L'Aquila prop Salvatori Perugini, Viadana No 8 Andrea Benatti, Gert Peens of Piacenza and Roma wing Fabio Raineri are all called up the Test squad that includes three Englishbased players. FLY half Gert Peens contributed 15 points as Roma easily accounted for Aberavon in the European Shield at the Talbot Athletic Ground.